Fendall Companyoncentrate has been formulated for on-site preparation of a buffered saline solution for use in gravity-fed emergency eyewash stations. 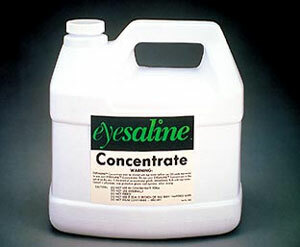 Physiologically balanced to reduce the likelihood of causing additional damage to the injured eye, this solution contains a preservative combination that inhibits bacterial growth. Each container of the concentrate is safety sealed and expiry dated, and detailed mixing instructions are included with each container.